The essence of umami, our version of the classic has a slightly sweeter and more pronounce tang than the original. The balanced flavors explode in your mouth, providing a bigger punch to dishes & drinks. We barrel-age ours an additional two years, and we don’t use anchovy, making it ‘Vegan’. This heralded condiment is amazing as a steak sauce or marinade and a classic ingredient in Bloody Mary’s. 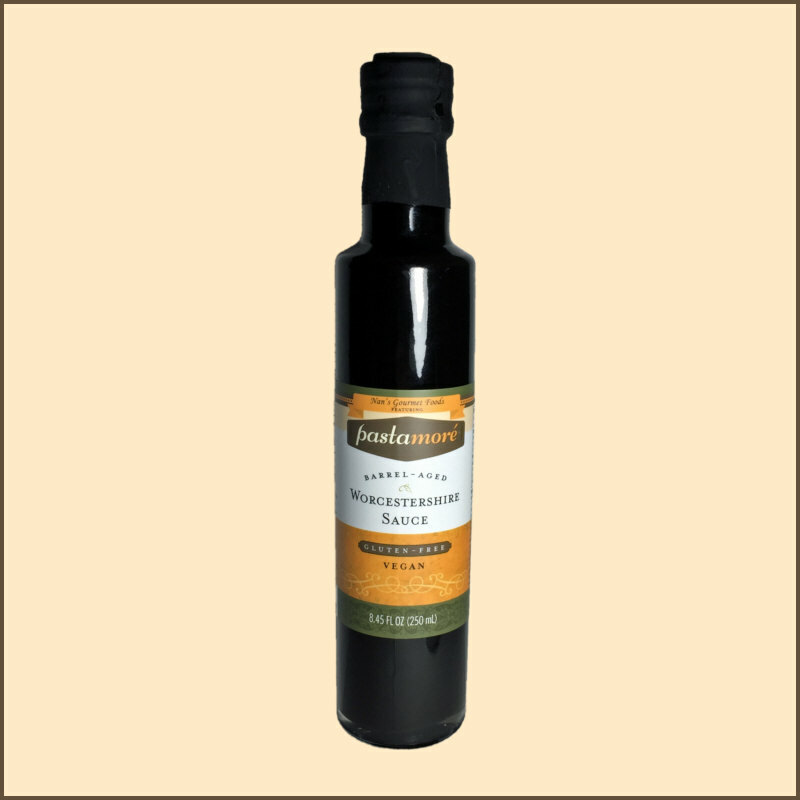 Its use is varied, from salad dressings to turkey burgers, stir fry to dipping sauces. One taste of ours and you will never go back to the other! This Worcestershire Sauce adds tremendous flavor when grilling steaks and chicken. Definitely took the place of previously used marinade sauces I've used in the past.